Notice: Some jurisdictions regulate or prohibit use of a dash cam device. It is your responsibility to know and comply with applicable laws and rights to privacy in jurisdictions where you plan to use the Garmin Speak Plus device. Garmin Speak Plus with Amazon Alexa is what you love about Amazon Alexa, now in your vehicle. 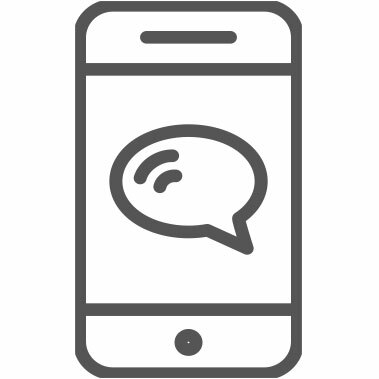 Use voice control for hands-free² access to music, news, navigation and more. Plus, a built-in dash cam gives you forward collision and lane departure warnings¹. 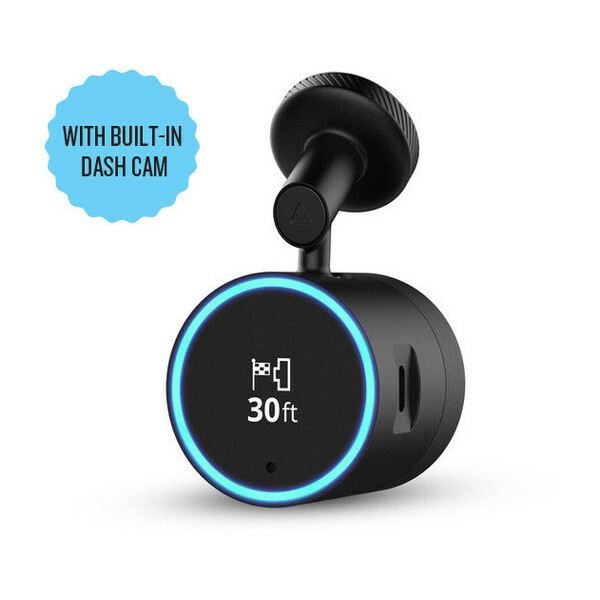 The small, interactive Garmin Speak Plus device works with the audio system in your vehicle, providing high-quality sound through your existing car stereo speakers². 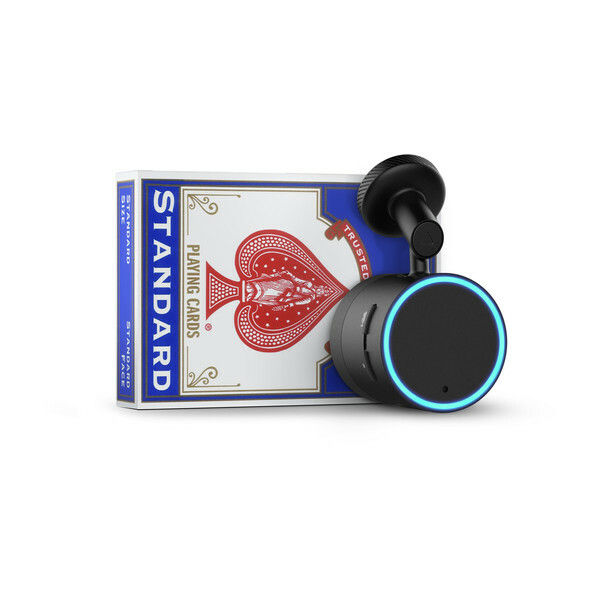 It also leverages the growing list of Amazon Alexa Skills to bring you a full range of voice-activated audio infotainment, smart home automation and other lifestyle-enhancing features on the go. Plus, exclusive Garmin-connected GPS navigation gives you turn-by-turn directions to specific destinations, activated by simply saying, “Alexa, ask Garmin … ” Ask a simple question, or give a brief command, and Garmin Speak Plus turns your words into actions. 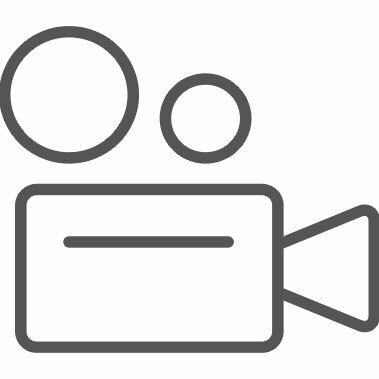 The unit’s built-in dash cam driving recorder automatically records your drive and saves video footage whenever an incident is detected — to verify when and where the events occurred. Download our free VIRB® Mobile app to your smartphone to view and share your footage. In addition to recording, the camera also enables safety-enhancing GPS features such as forward collision and lane departure warnings¹. Forward collision warnings alert when you are driving too closely to the vehicle ahead, and lane departure warnings are provided if you drift off-road or cross lanes into oncoming traffic. When your vehicle is stopped at an intersection or in traffic, helpful “Go” alerts notify you when traffic ahead starts moving again. Garmin Speak Plus can connect with a wide array of free- and subscription-based music services. Just ask Alexa to play music from Amazon Music, SiriusXM and more. Additional streaming services, such as Spotify, are expected to be added as available. If you’re an Amazon Prime member, Prime Music lets you stream4 more than 2 million songs — with selections by genre, mood or era. And if it’s information you’re seeking, ask Alexa to look up answers to your questions in Wikipedia or provide the latest weather report, traffic update, news briefing or your favorite podcast. Keep both hands on the wheel while using your voice to create shopping and to-do lists; just tell Alexa to add any items you think of en route. For real convenience, ask Alexa to put items in your online “shopping cart” and order them for home delivery. You can also ask Alexa to check what’s on your calendar for today — or add an appointment to it. Locate a gas station. Check your bank balance. Or order takeout to be ready when you arrive at the restaurant. It’s easy to follow the latest sports scores or find out how your stocks are trending. 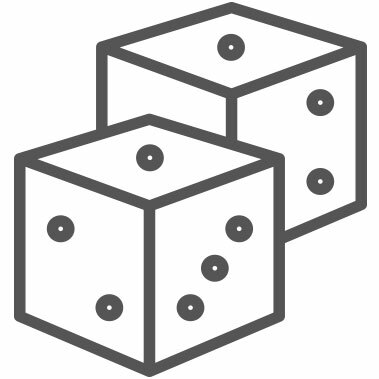 There are thousands of Alexa Skills available for download from the Alexa Skills Store. Just say the word, and Alexa is ready to make things happen. Unlike other Amazon Alexa solutions designed for home or office, Garmin Speak Plus also integrates in-vehicle Alexa Voice Service with our exclusive GPS turn-by-turn navigation5. Just tell it where you need to go, and Garmin Speak does the rest. 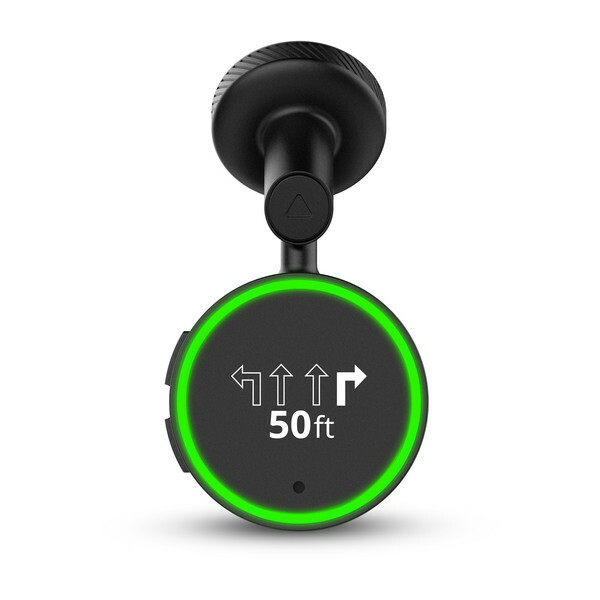 It responds to your voice commands, provides spoken directions with street names and shows brightly colored arrows with audio prompts to indicate which lane you need to be in for your next turn or upcoming exit. No additional Garmin devices are needed to display the GPS directions. And there are no fees or subscriptions required for your navigation data. 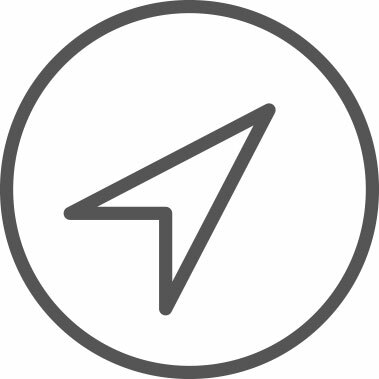 Map information is automatically kept up to date. And live updates on current traffic conditions and possible delays are yours for the asking. 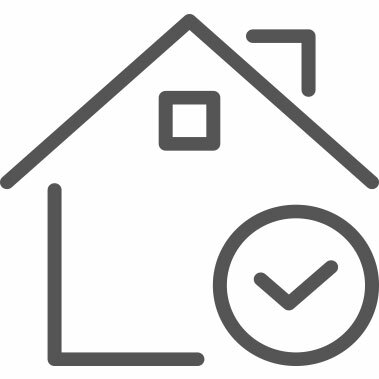 With wireless “smart” home connectivity, Alexa lets you remotely control various devices and systems6 — including lights, locks, thermostat and more — via spoken commands from your vehicle. For example, if you forget to lock your front door, you can do so remotely from your car without turning back. Or, if you realize you won’t be home for some time, you can remotely reset the thermostat so you’re not cooling or heating an empty home. It’s automation that works to make life simpler. When you’re on the road, Garmin Speak Plus voice service can help keep your passengers entertained with interactive games and trivia. They can learn about local attractions or historical sites. And they can even ask Alexa to pick a card, flip a coin or tell a few jokes. 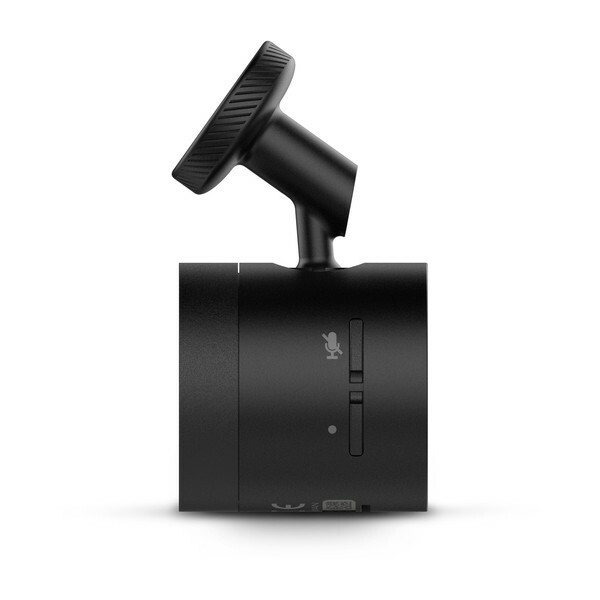 With its small footprint and compact design, the Garmin Speak Plus device mounts unobtrusively on your windshield. And because it works with your car stereo speakers, the sound quality is great. Simply download the free Garmin Speak™ app to your Bluetooth®-enabled smartphone. The Garmin Speak app works with your phone and a suitable cellular data connection, allowing you to stream Alexa responses — including music — right through your vehicle’s stereo system via Bluetooth or AUX port cable. 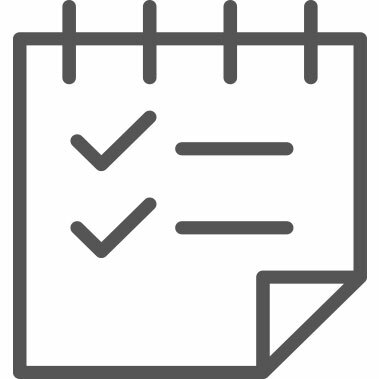 To make sure your system’s data is always up to date, software updates are automatically sent to your device on a regular basis. That way, your Garmin Speak Plus device will continue to get smarter as new features, mapping and skills become available. Amazon's Alexa voice service: You can talk to Amazon Alexa on your Garmin Speak. Alexa lives in the cloud, so it's always getting smarter, adding new capabilities that are delivered to your device automatically. 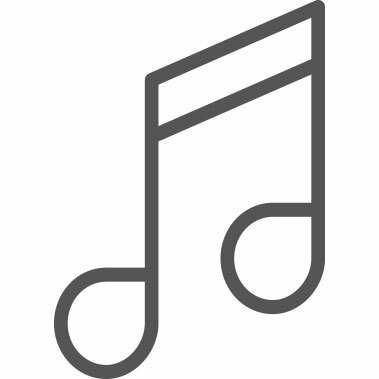 Music: Connect with a wide array of free- and subscription-based music services. Ask Alexa for music by artist, title or genre (Spotify not supported at this time). Access to Alexa skills: Customize features and explore thousands of skills in the Alexa app or the Alexa Skills Store. Some skills require linking to your Amazon account. Turn-by-turn GPS navigation: yes. Enable the Garmin Speak skill for free, exclusive Garmin navigation. Just say, "Alexa, ask Garmin…"
Smartphone compatibility: Compatible with Android™ 6.0 and later. Made for iPhone® 7 Plus, iPhone 7, iPhone SE, iPhone 6s Plus, iPhone 6s, iPhone 6 Plus, iPhone 6, iPhone 5s, iPhone 5c, iPhone 5; iPad Pro® (12.9 inch) 1st and 2nd generation, iPad Pro (10.5 inch), iPad Pro (9.7 inch); iPad mini™ 4, iPad mini 3, iPad mini 2, iPad mini, iPad Air® 2, iPad Air, iPad® 2 and iPad 3rd generation, 4th generation and 5th generation. Garmin Speak app: Requires download of the free app to your Bluetooth-enabled smartphone during setup. Alexa app: Use the free app and connect to your Amazon account. Can I play the Speak Plus audio through my vehicle’s stereo? Yes, you can connect to your car stereo using Bluetooth® or AUX to play the audio through your car. 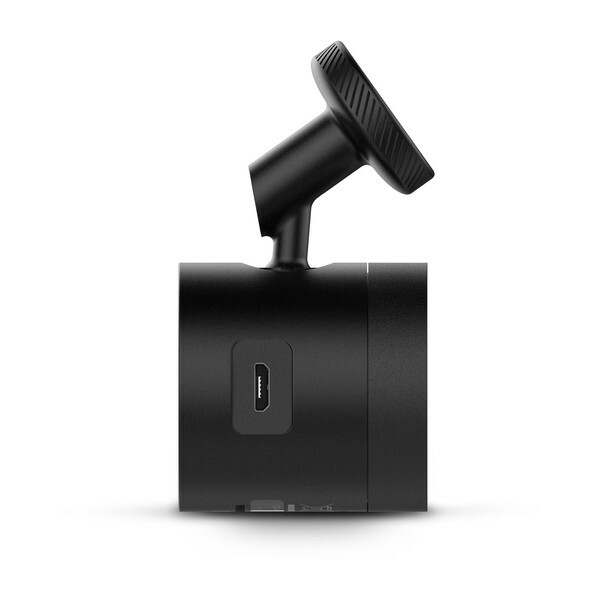 For vehicles that do not have Bluetooth or an AUX input, sound will be delivered through the Garmin Speak Plus device. What does Garmin Speak Plus do that you cannot get with an Echo device that I use at home? The Garmin Speak Plus device does not rely on a Wi-Fi® hotspot, but instead just uses your existing smartphone’s data plan with cellular signal. Garmin Speak Plus is very small and was purposefully designed for when you are on the go. It brings what you love about Amazon Alexa to your vehicle. Alexa responses — including music and audiobooks — can stream right through your vehicle’s stereo. What’s more, when you enable the exclusive Garmin skill on your Garmin Speak Plus device, you get access to handy GPS turn-by-turn directions from Garmin. 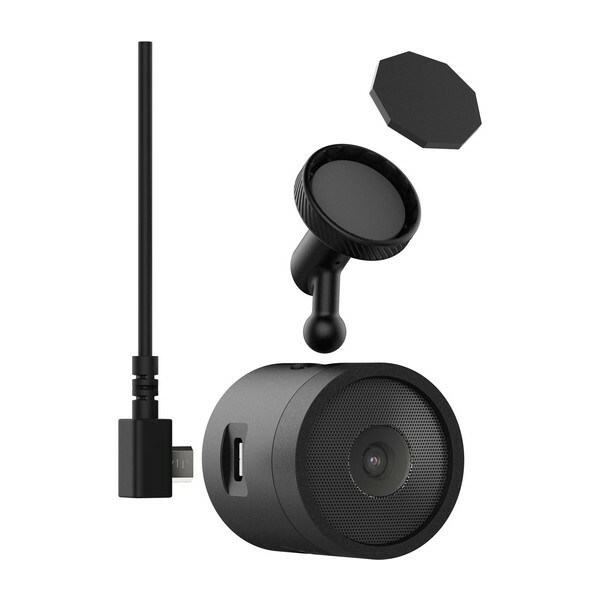 Can I use the Garmin Speak Plus device and still connect my phone to my car with Bluetooth? 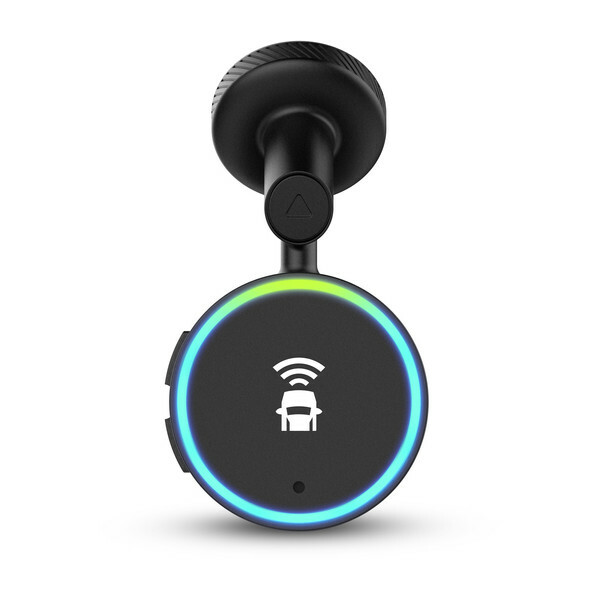 Yes, if you already connect your phone to your car using Bluetooth, Garmin Speak Plus does not interfere. 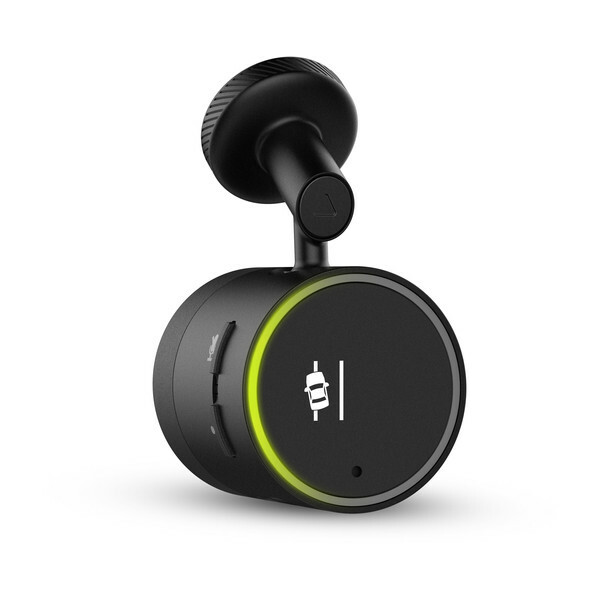 Garmin Speak Plus plays music and Alexa responses with its companion application, using your phone’s existing Bluetooth connection to your car. This approach allows it to integrate seamlessly with other phone apps, and allows you to keep using your vehicle hands-free system for phone calls. For example, you can use the Spotify® phone app to play music, Garmin Speak Plus for Alexa and navigation, and the audio will be mixed together on your vehicle sound system. Does this use my phone's data plan? Yes, Garmin uses your existing phone's data connection with cellular signal to stream Alexa responses, music, audiobooks and more. Data usage by the Amazon Alexa app will vary depending on the skills enabled and used, such as flash briefings, music player and games. How do I start a route with Garmin? After starting a route with the Garmin skill, you will get live traffic updates along your route. How does the device connect to my phone? Garmin Speak Plus connects to your smartphone via Bluetooth. It uses the Garmin Speak app to connect to Amazon Alexa and the Garmin Skill. Do I have to keep the app open the entire time? Yes, the app must be open, but it can be in the background with your phone's display off while you are driving. What if I have questions about Amazon Alexa? When is the Garmin Speak Plus device listening? While the Garmin Speak Plus device is turned on and the microphones are not muted, the device continuously listens for you to say “Alexa” to start a request. The device itself does not record or store any audio data. After you say “Alexa”, the audio data of your request is sent to the Alexa system for processing. You can view a record of your processed requests in the Amazon Alexa app. If you want to prevent the device from hearing any audio, you can mute the microphones. Good news! Software updates are automatically sent to your device on a regular basis, so Garmin Speak Plus is always up-to-date and you never need to worry or wait for any software or mapping updates. What if I have more questions about Garmin Speak Plus? Watch some of our tutorial videos posted in the Garmin.com learning center or visit our support page for additional information.